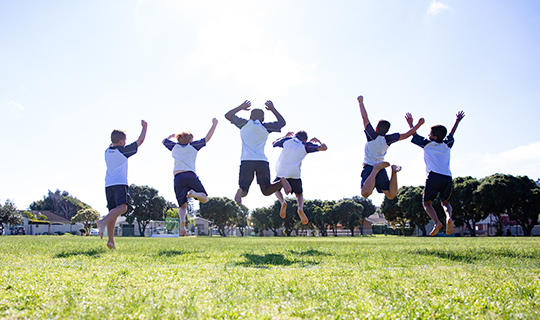 Our athletics practices include training for both track (sprints and long distances) and field (shotput, long jump, and high jump) events. 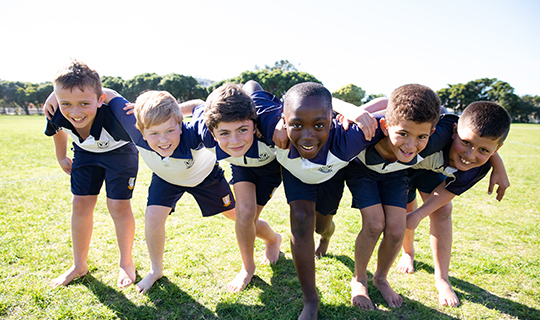 Learners who are part of our competitive squad participate in a number of interschool athletics meetings throughout Terms 1 and 4. Chess is one of our strongest performing sports. We regularly take part in the Western Cape Top Schools competition. Students attend practises twice a week, and in Terms 2 and 3 they participate in matches on Friday afternoons. Kirstenhof Primary School is proudly partnered with All Rounder Cricket Academy to supplement our vast in-house coaching experience. Our U/7 and U/8 teams play mini-cricket, which teaches them the fundamentals of batting, bowling and fielding, and allows them to take part in weekly matches. From U/9, we begin regular cricket coaching, and our teams continue to play weekly matches. Our 1st XI team plays their home matches on Friday nights (under our field lights), and their away matches on Saturday mornings. 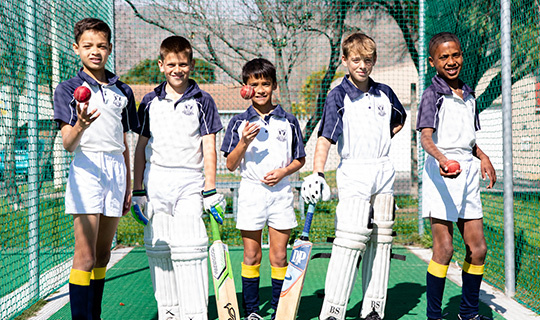 One of the highlights of our cricketing calendar is our U/11 6-a-side tournament, which takes place annually in October. This tournament is a great experience for our younger players, and gives them the chance to play under lights, which they always look forward to! Since 2015, Kirstenhof Primary School has offered Girls’ Hockey (for U/10 to U/14 age groups) during the summer terms. This decision has been well received, and we have a large group of learners participating in this sport. Although we do not play matches during Terms 1 and 4, the weekly practices allow for a strong start to the second term, when matches commence. Since 2017, Kirstenhof Primary School has offered Netball (for U/9 – U/13 age groups) during the summer terms. As was the case with the Summer Hockey offering, this decision has been well received, and we have a large group of learners participating in this sport. Although we do not play matches during Terms 1 and 4, the weekly practices allow for a strong start to the second term, when matches commence. Kirstenhof Primary School is proudly partnered with Vineyard Swimming Club to provide excellent and professional swimming coaching to our students. In summer, the Kirstenhof Primary swimming pool is a very busy place. It is used weekdays from 08h00 to 18h00 and we offer swimming coaching for all levels of ability. Those learners who are selected to be a part of our competitive swimming squad take part in a number of inter school galas throughout Terms 1 and 4, including the Reddam Night Gala and the prestigious Zonal Gala. Kirstenhof Primary School is proudly partnered with Charissa Balman’s School of Tennis to provide excellent and professional tennis coaching to our students, and our tennis courts are used on a daily basis during the summer terms. During Terms 1 and 4, students who qualify for the school team (an open age group), play weekly matches in the Western Province Southern Zone, and we have been steadily improving our performance. During Terms 2 and 3, private coaching is available at the school courts from the Charissa Balman’s School of Tennis.